The five-mukhi Rudraksha is a power bead that can help you control blood pressure and stress. A great way to keep your blood pressure in check is to dip two five-faceted Rudraksha in water overnight and drink the water in the morning after waking up. Some call the Rudraksha as the Blood Pressure Bead. 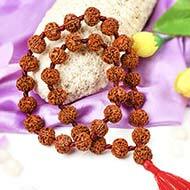 Rudraksha beads possess the property of Dynamic Polarity. It has the virtue of Diamagnetism, which is the ability of any material to acquire temporary magnetic property in the presence of an external magnetic field. The blood circulation and heartbeat of the wearer automatically induces a magnetic field around the body, especially near the heart. 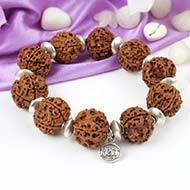 The Rudraksha bead obtains polarity opposite to that of the inducing magnetic field. 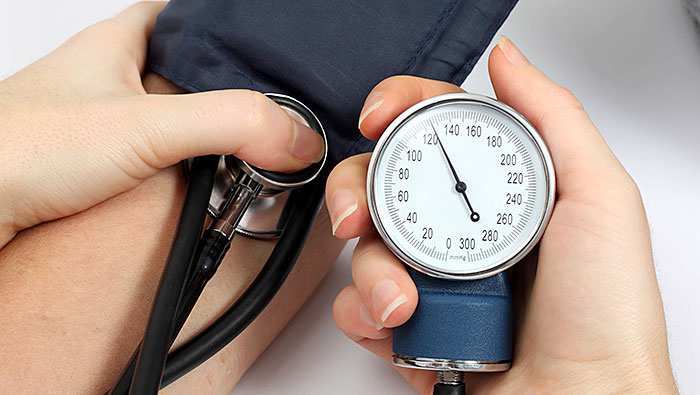 This results in the opening of the passages of your arteries and veins. The power bead rejuvenates you and improves your health noticeably. Doctor Madhuri also points out, “The ancient discipline of Rudraksha recommendation is as simple as it is complicated.” She also describes how many Rudraksha therapy facilities in India recommend the bead by combining Vedic knowledge along with modern scientific formulas to prove the effectiveness of Rudraksha. The scientific facts state that the electromagnetic nature of the beads affects our neurophysiology in a way that allows control over blood pressure, heartbeat and stress levels. It has also been effective in reducing anxiety, hypertension and depression. 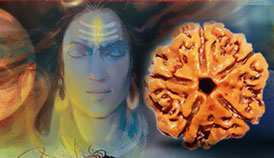 In the year 1993, Doctor Suhas Roy of Benaras Hindu University proved that Rudraksha beads possess electromagnetic and inductive properties. When one wears it over the heart, its facets send distinct signals that regulate brain activity and improve overall health. Various different health related problems can be solved by wearing the powerful Rudraksha bead. You can consult an expert before you self-diagnose your problems. It is always best to have an expert’s opinion before wearing Rudraksha beads. 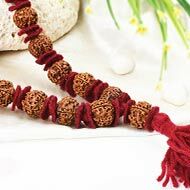 You should make sure that you buy Rudraksha from a renowned and credible source like Rudra Centre. The quality and authenticity of the bead matter in such cases where your health is in question. To experience maximum benefit and to see a positive change in your health, you should purchase original and pure Rudraksha only.